Hyder School District services about 100 families in our tiny Dateland, Arizona, community. With just 200 students attending our K–8 elementary school, we provide an education with personalized attention that other larger schools cannot offer. We’re proud of our community’s Hispanic heritage and historical roots. 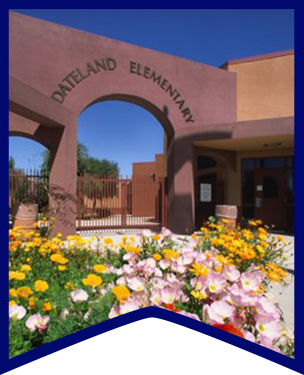 Dateland Elementary School, home of the Cougars, is committed to educational excellence. We are a Title I school, which enhances our abilities to teach with materials that come from the extra funding. Our classrooms have no more than 18 students per teacher. The Dateland school governing board, teachers, and staff will provide an educational environment enabling all students to achieve their maximum potential resulting in the best possible students and citizens. Excellence is not a goal; it’s a standard. 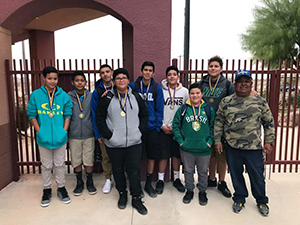 The Arizona State Board of Education awarded Dateland Elementary School with an “A” grade under the 2016-2017 A-F School Accountability Plan. The A-F accountability system is designed to empower all public elementary, middle, and high schools in the state to achieve and increase student success in Arizona. Dateland Elementary School’s campus is more than just a school. Built in 1997, the Dateland campus acts as an education center, a disaster refuge site, a location for social functions, and an emergency medical center.